A Collage of Music ~ Win a Music Care Package! 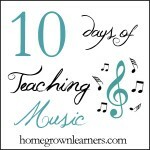 It's the very last day of The 10 Days of Teaching Music. It's been so much fun and I've met so many new readers! 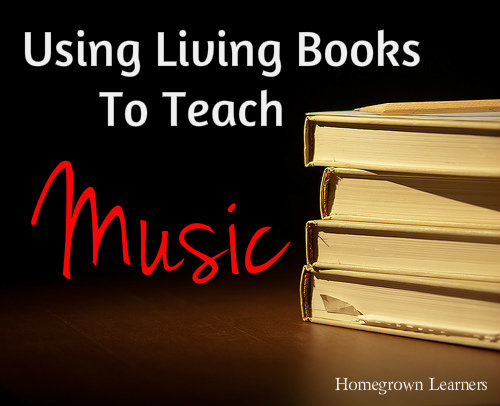 Best of all, I'm inspired to incorporate MORE music in our homeschool! To say the past two weeks have been busy is an understatement. I have loved every minute of The 10 Days of Teaching Music! Being a part of the iHomeschool Network has blessed me in so many ways ~ I hope you've had a chance to visit some of the other 10 Days bloggers. 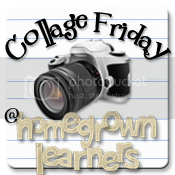 Today's edition of Collage Friday gives YOU (if you choose to link up!) a chance to win a musical care package from me. I will include a book and CD my children and I adore and some other goodies. Please don't worry about creating a formal collage. I know that Photobucket has removed its Fotoflexer collage feature and that makes it hard to incorporate collages. I have been using different apps on my iPhone and iPad to make the collages. This giveaway of the musical care package will end Monday, April 30th at Midnight! Before I get to the recap of my series, I'll just share one quick collage of this past week. Miss B and I went to the Passages exhibit here in Atlanta. It was WONDERFUL! We learned so much about the history of the Bible. We also had a great time going with friends from church. Last weekend my husband took me out to dinner at The Redneck Gourmet and then to a great concert. I had to chuckle at our "fancy" night out with the jar of Moon Pies on the counter. The picture of Gman symbolizes the long couple of weeks he has had: Walking Pneumonia is no fun, that's for sure. After running a fever for about seven days off and on we visited the doctor and got the diagnosis. I'm hoping he gets to feeling better VERY soon. Don't you love the picture of me... I got my hair cut this week and I took the time to straighten my VERY curly hair. I'm also smiling so you know how much I enjoyed writing the 10 Days series! Wow.... look at the past two weeks of music here at Homegrown Learners. I had so much fun! Day 5: What About Piano Lessons? Now it's your turn to link your collage from the past week! Please include the button from my sidebar, or link back to this post somewhere in your blog post!